Last January I already shared with you some work space inspiration. 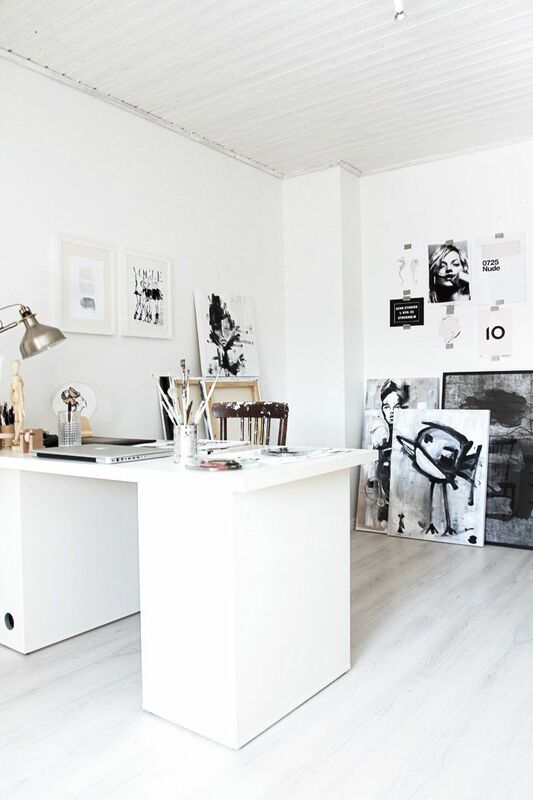 Back than I focused on black and white working spaces (by clicking this link you’ll find this post: ‘inspiring work spaces’ with 10 of my favorite black and white offices). This time I focus on creative studios in natural colors as it is apparently proven by scientists that natural colors improve creativity and improve overall well-being. And even better, they also give your ability to concentrate and focus a boost! You’ll find plenty of ways to bring this color scheme to your home.